Honor guards of South Korea and the United Nations Command (UNC) carry boxes containing the remains of two servicemen killed during the 1950-53 Korean War, during a mutual repatriation ceremony at Seoul National Cemetery in Seoul, South Korea, Friday, July 13, 2018. 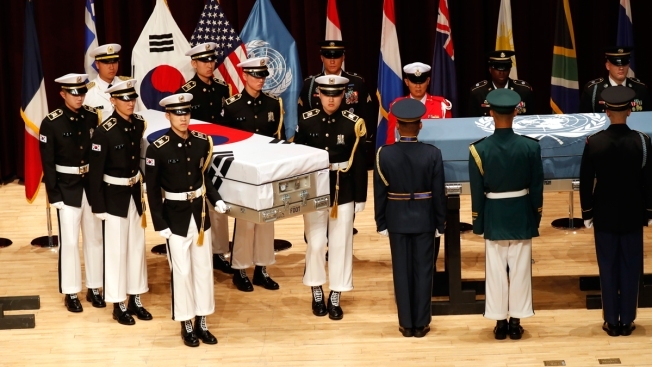 The United States and South Korea held the ceremony to return home the remains of two servicemen - an unidentified allied soldier, presumably American, right, and a South Korean soldier, left. The United States and South Korea held a ceremony on Friday to return home the remains of two servicemen killed during the 1950-53 Korean War. 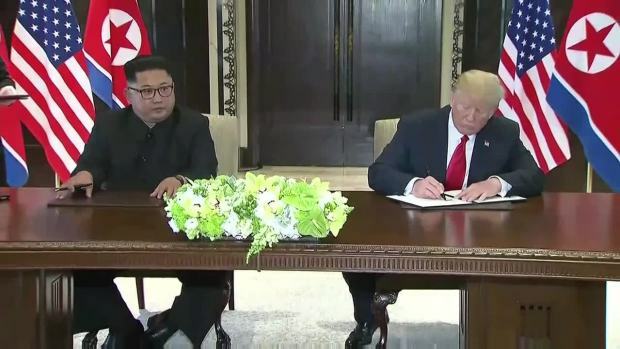 The ceremony came a day after talks between the United States and North Korea over the return of U.S. war remains were postponed. Seoul's Foreign Ministry says the North requested talks at a higher level. Seoul's Defense Ministry said the allies are currently trying to identify some 180 sets of remains, some of which are presumed to be South Korean soldiers.